If you’re looking for a truly fun and original way to decorate your space with an area rug, look no further than a star shaped rug to help you get the job done right! 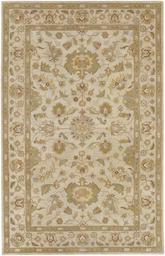 These rugs are beautiful, and they aren’t just for kids’ rooms anymore. While star-shaped area rugs might have been traditionally used in more youthful parts of the home, they’re becoming more and more popular as permanent fixtures in grown-up rooms, too. 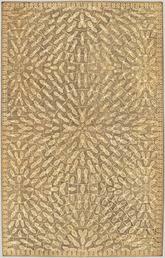 Use a star shaped rug to create a sense of space that’s truly you as you let your originality shine through. Can you imagine a living room with a star shaped rug as the center of attention? A living room like that is sure to be a casual space that’s perfect for entertaining, and with star area rugs in any size or color, you can achieve all that and so much more. Arrange your furniture around a large star rug in a vivid solid color or with a large, colorful pattern that will draw all the attention to the floor. 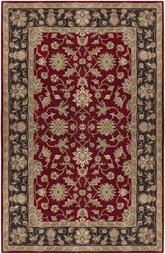 Choose the rest of your décor and furniture based on the colors in the rug, and let your rug do all the talking. You might not originally expect something as whimsical as a star rug to be a good solution for the living room, but if you want to be an unexpected person with unique designs, it’s a great way to go. Subvert the common designs trends and don’t be afraid to use something new and different in your entertaining space! This is also a great way to create a casual space if you have a separate den or entertainment room that isn’t attached to your more traditional parlor or sitting room. Spread a big shag star rug in the middle of your dining room for an incredibly fun modern style that you won’t find anywhere else! Modern dining rooms are all about solid colors and the balance of dark and light spaces, so if you have a light colored carpet and vivid furniture, a black star rug can look amazing and totally unexpected in your dining space. Dark furniture, on the other hand, can be balanced with a white or gray star rug and accented with pops of color from your dishes or other home décor. 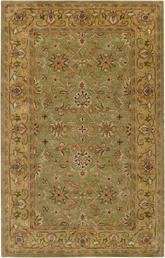 If you’re trying to set up a traditionally elegant dining room, a star shaped rug might not be the way to go. 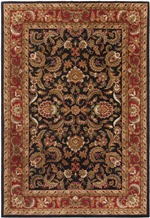 However, you can be a little tongue-in-cheek with your design choices if you wish, and choose a large star rug with a more traditional pattern like you might ordinarily find on an oriental rug instead. This might seem a little silly, but it can be a fun way to carry a traditional them into a room with a very modern and casual look. You don’t have to limit your use of a star rug only to certain rooms in your home! Use a small star rug by the sink or stove in your kitchen to bring a sense of fun and whimsy to the space. This can be a fun way to give yourself a softer place to stand for lengthy food prep times. You can also throw a star rug down in the center of the kitchen floor to create a design that’s sure to surprise and delight you and your whole family. Pick a solid color star rug to tie into the rest of your kitchen, or go all out and choose one with an intricate pattern for a twist on the norm. If your kitchen has a small dining area—or if you don’t have a separate dedicated dining room—a large star shaped rug can be a great way to separate a small table from the rest of the kitchen space. Spread it beneath your small table and use it to denote the dining space in your kitchen perfectly. If all else fails, a small star rug in front of the door to the kitchen can give you a burst of color and style without overdoing it. 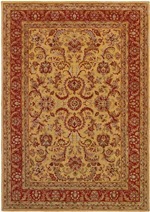 Can Star Rugs be Used in Bedrooms? Star shaped rugs have their place in bedrooms as well, and they can be a beautiful and fun addition to an adult’s room as well as a child’s. 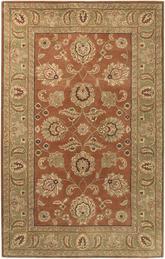 In an adult bedroom, you might want to downplay the star rug a little bit more than you would in a kids’ room. Choose a rug made of jute, sisal, or wool to keep things soft and comfortable without drawing more attention to the rug than you might like. If you’re planning to use a star rug in an adult’s bedroom, try to incorporate stars into the design throughout the rest of the room, too. Pick curtains with small star patterns, or hang a fun and funky star-shaped mirror on the wall to carry the look throughout the room. In a child’s room, it’s a little easier to work with odd shaped rugs like these. A shag rug in any solid color can be a great addition to a child’s space, and can help separate the sleeping area in a kids’ room from a reading nook or play section, too. 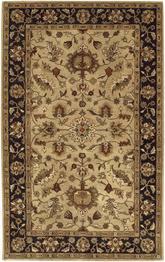 Choose darker colors if you’re worried about your child spilling or tracking dirt onto his or her star rug. Have you gotten some great ideas for how to use a star shaped rug in your home? 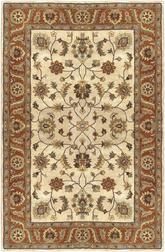 Remember that these rugs are available in plenty of different sizes, so you can use them in any room easily. You can find star rugs made from all sorts of different materials, from acrylic and synthetic blends to eco-friendly fibers and more. 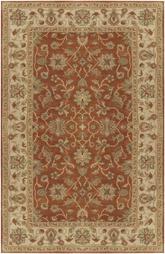 And best of all, you can find these rugs with patterns that range from the ultra-modern to the very traditional, which can help you set up a perfect transitional space that bridges the gap between the two. Whichever way you choose to use your star rug, you’re sure to love it!